The United Nations reopens its Syria peace talks on Tuesday but the Damascus government's last minute announcement that it may not come to Geneva delivered a blow to the already faltering negotiations. 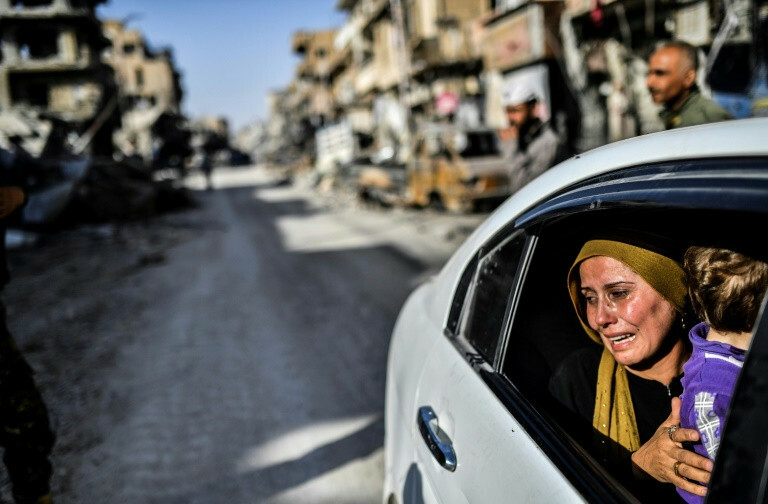 The eighth round of talks were seen as a chance for the UN to revitalise its push to end the six-year war, which has killed more than 340,000 people and left Syria in ruin. UN envoy Staffan de Mistura has stressed the urgent need for progress towards a political solution and had been bolstered by the fractured opposition's decision to form a unified negotiation team for the first time. But on the eve of the talks reopening, de Mistura told the Security Council that President Bashar al-Assad's government had not yet committed to show up. "The government did not yet confirm its participation in Geneva but indicated that we would be hearing from them soon", he said. Regime negotiators did not travel to Geneva on Monday, all but assuring they will be absent for the opening of the talks. The UN envoy recalled Assad's pledge to Russian President Vladimir Putin last week that he was "ready for dialogue." "Naturally we know and indeed expect that the government will be on its way shortly, particularly in light of President Assad's commitment to President Putin," he added. De Mistura had voiced hope the upcoming round will mark the first "real negotiation" on a possible peace deal. For that to happen rival sides will need to overcome the hurdle that has derailed past discussions: Assad's fate. De Mistura has told the opposition that its longstanding demand for Assad's ouster may no longer be tenable. In September, he said the opposition it needed to be "realistic" and realise "they didn't win the war", a statement supported by facts on the ground. Backed by Russia's decisive military support, Assad's government has regained control of 55 percent of the country, including major cities Damascus, Aleppo, Homs and Hama. The decision last week by Syrian opposition groups to send a single delegation to Geneva raised hopes of a possible breakthrough. The new rebel negotiating team includes members of the Saudi-backed High Negotiations Committee (HNC), which insists on Assad's ouster, as well as representatives of groups based in Moscow and Cairo that have a more moderate stance on the president. Speaking to reporters shortly after landing in Geneva, opposition delegation chief Nasr al-Hariri said his camp was united on the need to put an "inclusive" transitional government in place ahead of elections UN-supervised. "That means that Bashar Assad will not be in power from the beginning... of the transition", he said, in a sign that the talks may remain deadlocked over the president's future. That could spell more trouble for the UN's peace push, which has been overshadowed by deals spearheaded by Moscow. Russia, fellow regime ally Iran and rebel-backer Turkey have hosted negotiations in the Kazakh capital that led to the creation of four "de-escalation zones" which produced a drop in violence, though deadly air strikes and battles continue in some areas. Western powers are concerned that Russia is seeking to take a leading role in the peace process and will carve out a settlement that will largely favour Assad. "The UN must be front and centre" in the Syrian peace process, said French Ambassador Francois Delattre. Speaking in London on Monday Turkey's Prime Minister said their tripartite talks should be seen as complimentary to the UN's peace process. "This process is not competing with the Geneva process," Binali Yildirim said during an address at the International Institute for Strategic Studies (IISS). He also reiterated Ankara's determination to see Bashar al-Assad leave power, something Moscow and Tehran remain staunchly opposed to. "Look how things evolved in Syria, who caused Syria to be in the situation that it is today -- it all happened because of the regime, because of Assad," he said. He added in the long-term, "Assad cannot possibly survive in Syria, we have to accept this". De Mistura said he would be meeting with the ambassadors from Security Council permanent representatives -- Britain, France, China, Russia and the United States -- in Geneva on Tuesday to discuss the upcoming talks. 0 Response to "UN restarts Syria peace talks but Assad regime absent"